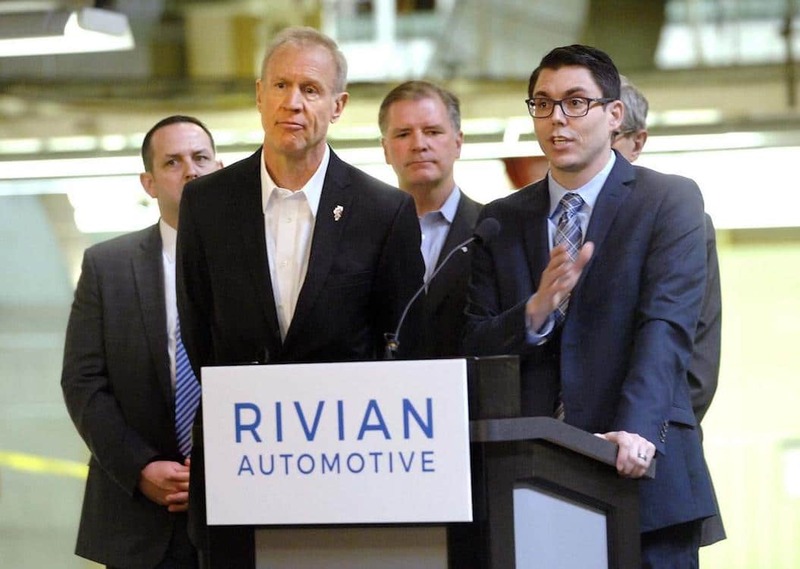 By the time, Rivian, which has raised $500 million in capital, launches in 2020, with a target of building 50,000 vehicles annually at the plant in Normal, Illinois, that it acquired from Mitsubishi. “There is no consensus,” on what the ‘mobility’ industry will look in the future,” Scaringe said. “We’re only at the beginning of the journey. Periods of uncertainty also create opportunity.” He noted that no one could was predicting the demise of Blockbuster and Sears in the early 1990s or the rise of Amazon, which was launched in 1994. 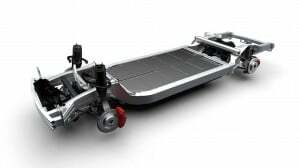 Rivian's pickup and sport-utility, as well as future products, will be based off this skateboard. To prepare for the introduction and launch, Rivian has brought in Michael McHale, a veteran communicator who helped build the program that turned Subaru into a powerhouse in the years after the Great Recession, to serve as the director of communications. Scaringe said Rivian plans to launch an all-electric five-passenger pickup truck in 2020 followed by a seven-passenger SUV. The company has said the vehicles will cost between $50,000 to nearly $100,000. The two vehicles being readied for their debut in Los Angeles this fall ride on “skateboard” that will include the large battery pack that Scaringe said will give the Rivian vehicles a range of 450 miles. The vehicles will also go from zero to 60 in three seconds and will work better off road than a Jeep or a Land Rover, he said. Rivian is also in the process of planning to build four other vehicles from the same platform. Rivian also is hoping to share its platform with other vehicle builders. The platform was created with the intent that it could also serve as underpinnings of a self-driving, autonomous vehicle, which promises to change the industry dramatically. This entry was posted on Friday, August 31st, 2018 at and is filed under Auto Shows, Automakers, Automobiles, EVs, Electrified Vehicles, Los Angeles, Markets, Pickups, SUVs, Sales, Technology, Trends, U.S./North America. You can follow any responses to this entry through the RSS 2.0 feed. Both comments and pings are currently closed. What happens to that pickup range if you tow or haul something? Expect it to go down. We’ll try to find out more.